Welcome to the Diocese of Rift Valley website! This is the official website of the Diocese of Rift Valley. Here you will find news and information about the life and ministry of our Diocese. The Christian message first came to Tanzania with two missionaries from the Church Missionary Society (CMS) in 1844. These two missionaries were Dr. John Kraft and the Rev. Johannes Rebmann, who planted churches in Kenya and the northern part of Tanzania. The Rev. Johannes Rebmann worked in the northern part of Tanzania, and he was the first European to see Mount Kilimanjaro (the highest mountain in Africa). The CMS missionaries started planting churches at Mpwapwa in the central part of Tanzania in 1876, twenty two years after first coming to Tanzania. The Diocese of Central Tanganyika was formed in 1927. At the same time, the Rev. Ralph Banks, a missionary from Manchester, UK, was doing Christian mission work at Kilimatinde, and Kilimatinde Church was built under his care. The Diocese of Rift Valley became separate from the Diocese of Central Tanganyika on June 30th, 1991. There were 20 congregations at that time, and about 36,900 Christians. Today, there are 130,000 Christians worshipping in 267 congregations. The first Diocesan Bishop was the Rt. Rev. Dr. Alpha Mohamed. When he became the Bishop of the Diocese of Rift Valley, he was translated from the Diocese of Mount Kilimanjaro, Arusha. Bishop Alpha was enthroned as Diocese of Rift Valley's first Bishop on June 30th, 1991, and he led the Diocese for 15 years. The Rt. Rev. John Lupaa, consecrated on October 22nd, 2006, is the second Bishop of the Diocese of Rift Valley. The Diocese of Rift Valley is at the centre of Tanzania geographically, located at the political boundary of the Singida region. It is among the 27 Anglican dioceses of the province of the "Anglican Church of Tanzania". 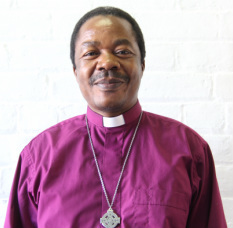 It is a member of the Anglican Communion.